If you are a newbie forex trader and you want to learn the truth about forex trading as it applies to you and your trading business, one of the first things you need to understand is that many myths have arisen over the years that relate the topic of trading. Some of these myths have arisen due to the way things used to be in the forex market before online forex trading became available to retail traders. Others probably arose as exaggerations based on specific cases that were in no way representative of the forex market as a whole. Still other misconceptions seem to have come about due to misunderstandings of basic forex market principles and practices among those less educated in this area. In this article, we intend on debunking some forex myths that seem to have become rather popular, especially among retail traders who lack the benefit of professional or academic training. It will focus on those myths that either have no current basis in fact or which seem to be based on infrequent events that are atypical of the forex market in general. 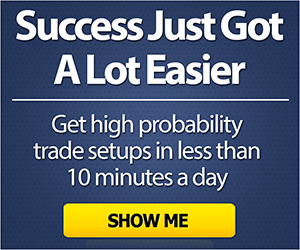 Among the most prevalent of forex myths that many newbie traders believe is that trading the forex market is easy. Nothing could be further from the truth. Trading currencies successfully can be one of the most challenging endeavors an individual can undertake professionally. Opening and downloading the software to begin trading is relatively easy, however, succeeding and making money consistently in the forex market is another matter completely. While there are talented traders that tend to learn very fast, novice traders should dedicate a good amount of time and effort into practicing and developing strategies that they can later implement once they have tested them in a forex demo account. One reason some people have the impression that trading in the forex market is easy, is that the marketing strategy used by some unscrupulous gurus and forex brokers infer that money can be made with ease as soon as you have opened and funded your live trading account. Nevertheless, the inherent volatility in currency pairs can make trading forex difficult even if the trader has accurately predicted the direction of the exchange rate. In other words, just because the trader has accurately predicted which way the exchange rate is headed in a certain time frame, does not mean that the currency pair will not trade significantly against the predicted direction. Reducing risk in this situation means that the trader must be very careful where they enter a stop-loss. If the trader enters a stop loss too close to the original position, then they are very likely to be filled on the order and taken out of their position, only to see the rate resume its original trajectory. In addition to the everyday volatility in currency pairs, there is also the fundamental aspect, which can drive a currency up or down depending on a major news release, central bank announcement or geopolitical event, making the exchange rate even more volatile. Compared to trading stocks, bonds or commodities, trading the FX market is probably the most challenging given all the factors involved in the valuation of currencies. Trading in the forex market is therefore not as easy as some online forex brokers and others would have you believe. Most professional traders have spent years learning the ropes of forex trading either through mentoring with another successful trader or educating themselves and subsequently developing a strategy that works for them. Basically, this statement is both true and false depending on the broker model. When a trade is executed in the forex market, there has to be another party taking the exact counter trade at the same time. Some brokers will place your order with another broker, however, if another broker is not available to offset the trade, your broker will most likely take the other side and offset their risk subsequently with another party to minimize their exposure. Remember, forex brokers generally make their money by trading the buy/sell spread, which means that they can buy on the bid and sell on the offer, keeping the difference in the spread. Among trading myths in the forex market, this one is quite prevalent. This statement is mostly spread by advisors that have a vested interest in selling you market related products, since that is how they make their living. The reality of forex trading is somewhat different however, since a trader with a viable trading plan can time the market according to their technical or fundamental trading strategy. Another reason that fund managers and advisors with vested interests say that you cannot time forex trades is that from their point of view, they have difficulty timing trades since they have large positions under management and can move the market trading even a small portion of their assets. Interestingly, this myth is one of the modern-day untruths about FX trading that used to more commonplace. 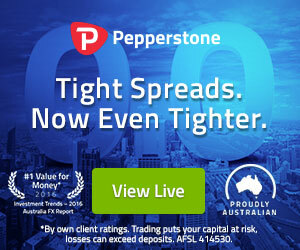 Back when online forex trading was unavailable, retail traders pretty much did not have access to the Interbank forex market unless they happened to be very high net worth individuals who could trade amounts over $1,000,000 and were creditworthy enough to be extended a credit line by a financial institution. Happily, with the advent of online forex brokers, forex trading is now available to just about anyone with a modern computer, an Internet connection, and a modest amount of money to put at risk. If you have ever worked in or visited a professional foreign exchange trading floor, even at the most prestigious financial institutions, then you will already know that this myth is not entirely true. Perhaps one of the more interesting facts of trading currencies is that many professional practitioners do not necessarily have advanced degrees related to this field. Furthermore, trading currencies seems to be something that even a bright person working in a humble position at a farmer’s market or at a bookie may actually be much better at than a highly analytical person with a PhD in economics from one of the world’s top universities. While the fluctuating movements observed in the forex market and other financial markets have been theoretically modeled using something known among statisticians as a “random walk”, which could be likened to the staggering of a drunk on a sidewalk, the fact remains that the exchange rate of currency pairs can often exhibit trending behavior that is far from random. In fact, the existence of such non-random trends is one of the most important trading facts exploited by forex traders who use technical analysis. The well known financial market trading maxim “The trend is your friend” offers the wisdom that trading along with the prevailing market trend can be beneficial to your bottom line. The concept is based on the idea that markets do indeed show remarkable trending behavior that is most certainly not random. It also seems important to mention here that the valuation of a currency pair traded in the forex market reflects the relative economic strength of the money issued by two nations. Each of those nations may be implementing policy changes and have economic developments that diverge, in which case the market will tend to increase the valuation of the more favored currency over the less favored one. This divergence results in currency pair trends that can persist as long as most market participants believe its valuation of one currency versus the other needs to move to reflect the underlying fundamentals of the two relevant nations. The chart below shows a notable long term trend in the USD/CAD currency pair. In part, this trend reflects stable levels of benchmark interest rates in Canada contrasted with rising benchmark interest rates in the United States that results in a stronger U.S. Dollar relative to the Canadian Dollar. While fluctuations and corrections lower still occur, the overall trend in USD/CAD is clearly upward while the exchange rate remains above the rising blue trendline and keeps making higher highs and higher lows. Figure #1 – A weekly candlestick chart of the USD/CAD currency pair showing a rising overall movement or trend in the direction of the blue trend line drawn underneath the exchange rate. Virtually no trader can reasonably be expected to watch a market around the clock. Common forex trading misconceptions like this one probably arose due to the fact that the forex market trades on a 24 hour basis from the Auckland, New Zealand open on Sunday afternoon until the New York Close on Friday afternoon. Most professional forex traders cope with the forex market’s round the clock opening hours by either closing positions out at the end of their trading day or by leaving orders either with a forex broker or with a fellow trader working at another branch of their financial institution in a different time zone to watch for them. Furthermore, instead of just placing an order, they may choose to enter call levels with such associates, so that they receive a phone call if their levels are reached and can then decide what course of action to take. This decision might be based on the advice of traders who are then awake and monitoring the market, or it might result from some technical or fundamental analysis performed to determine what the best thing to do may be. In contrast, most retail traders who hold positions overnight will simply leave take profit and stop loss orders with their online forex brokers to execute if the market reaches their specified levels. Some retail traders also use an alert service on their mobile devices to let them know when their watched exchange rate levels are approaching or have traded. As a retail trader, if you are going to use bracket orders to manage your existing forex positions, you do not need to constantly watch the market. You can also automate your trade plan’s market analysis procedure to identify trading opportunities for you so that you do not even need to monitor the market yourself for such potentially profitable situations, and can simply monitor your system’s alerts. Some traders prefer to fully automate their trading plans or use forex trading systems that trade without human intervention. A rather popular forex misconception is the idea that trading forex is identical to what gamblers might do at a casino. While forex trading certainly has speculative aspects to it, since it involves putting capital at risk, it also has a more strategic aspect to it that distinguishes it from gambling. Also, the odds of winning as a forex trader can be considerably improved by using well established market analysis methods like technical and fundamental analysis, so it pays to become well versed in these techniques. Another important way to improve your chances as a forex trader involves using sound money management practices like sizing positions appropriately for your account size and allowing profits to run substantially while cutting losses quickly. Basically, while you can indeed blindly take bets within the forex market just like a novice gambler, if you really want to become a successful forex trader, you will want to learn to take strategic risks instead of blind ones. Among the most unfounded forex lies you may hear is the one that forex trading is a scam or fraudulent business. Forex trading simply involves the exchange of one national currency for another. That is no more a scam than buying groceries at your local store. Nevertheless, just like in any unregulated market, some people will try to take advantage of the ignorance of others. Despite having operated as one of the world’s largest financial markets for many years, the forex market has received some negative press due to the collapse of some retail forex brokers that resulted in customer account losses. Also, a few dishonest operators of some High Yield Investment Programs or HYIPs started to claim that they were producing their high returns by engaging in forex trading, but were instead later found be to just Ponzi type schemes. Clearly, that sort of fraudulent activity was in no way related to the traditional professional forex market or even to the more recently available retail forex market. Such pyramid scams can often be readily identified by applying the simple test that “if it seems too good to be true, then it probably is”. This myth probably came about because the facts tend to show that most retail forex traders do indeed lose money when they trade currencies. That being said, there are many retail forex traders that have their own forex success stories to share. But, the number of retail traders that fail to make money trading forex is estimated to be in the 90 percent range. What that potentially disheartening number means is that you must educate yourself and start to think like a professional trader in order to join the winning 10%. Otherwise, the odds are that you will just become yet another member of the retail trading herd where the Blind leads the Blind over the cliff to an unprofitable trading experience.